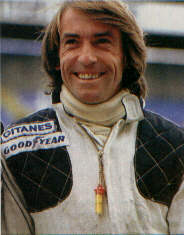 1998 - Chamonix 24 Hrs (Opel Tigra), 5th with R.Arnoux. Spa 24 Hrs (Peugeot 306), 6th with P.van Vliet & P.Witmeur. P.Postillon. 3rd in Volkswagen Beetle Celebrity race at Canadian GP. 2010 – German VW Scirocco Cup: 17th in one-off race at Hockenheim.